In August about 5 children came in with burns. Burns are a common form of injury here, usually due to immersion in hot fluids, such as water, porridge, oil and sometimes due to open fires. A lot of these burns could be prevented by proper safety measures in the home. Fortunately none of the burns were too severe and we could treat them all on an outpatient basis. 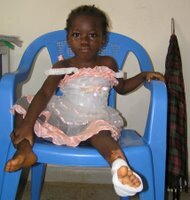 Two year old Miracle lives in Aberdeen with her grandmother and arrived at the clinic on August 15th. Apparently Miracle had accidentally stepped into a big bowl of porridge that had just been taken from the fire. 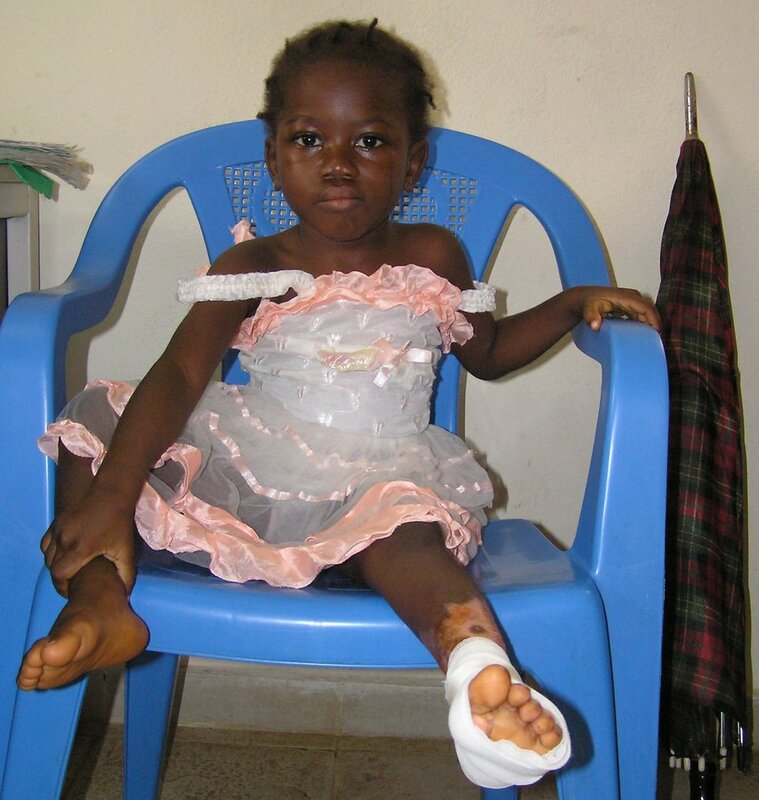 Although Miracle was quite cheerful, the burns on her left leg looked pretty painful. 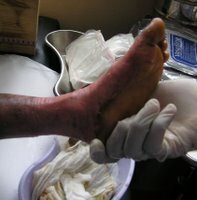 We were able to clean and dress the burns and Miracle continued coming for follow-up dressings. She was very brave throughout the dressing changes and her burns healed nicely (see picture).